Chia seeds are praised for their high fibre, omega 3 and protein content as well as their nutritional profile which is all fantastic but flax seeds are a great, cheaper alternative and just as nutritious. They too are loaded with omega 3’s, fibre, and they have a similar protein content. The nutritional profile differs slightly but they are still a great seed to include in your diet and are a quarter of the price of chia. Ancient grains are taking off in the food world. Think teff, bulgur, amaranth, faro, spelt and quinoa. These grains are known for their high fibre and protein content and vitamin profile. Not only are some of these ancient grains hard to find, hard to pronounce and expensive to buy but they have similar health benefits and properties to other grains. More commonly found grains such as oats, barley and brown rice can be just as beneficial in the diet as the ancient variety. Oats are full of fibre, protein, healthy fats, vitamins, phytochemicals and are low GI. Many studies have linked oats and barley to the reduction of blood cholesterol thanks to their beta glucan content. If you are yet to hear of Kombucha don’t worry it will be clogging your news feed and instragram very soon. It’s all the rage amongst the health fanatics due to its claims of ‘detoxifying the body’, reducing cholesterol, boosting the immune system and improving digestion. Kombucha is a fermented tea that has been around for thousands of years in China. Whilst it may produce health benefits there have been no human studies done to back up the claims. Kombucha provides a good does of probiotics, antioxidants and polyopheols which can also be provided by green tea and probiotic yoghurt. Coconut Oil. Wow what can’t this oil do? According to our Paleolithic friends this oil is the answer to all of your health problems. I have seen claims that it can burn fat, reduce cholesterol, prevent cancer, boost metabolism, control sugar levels, stop sugar cravings and even boost your libido. I’m still yet to find any solid evidence to support these claims and there is still a lot of controversy as to how healthy this oil actually is due to its high saturated fat content. Whilst I would be happy to use small amounts of the oil in moderation (it does taste pretty good!) I wouldn’t be pouring it on everything I eat which advocates recommend you do. One oil that has scientific evidence to support its health properties is Extra Virgin Olive Oil (EVOO). Extra Virgin Olive Oil is a staple in the Mediterranean diet. EVOO is rich in monounsaturated fats and has been shown to have protective effects against cardiovascular disease by reducing inflammation, cholesterol, blood pressure and oxidative damage. Kale needs no explanation. No doubt you have seen it in smoothies, salads, chips, muffins and cakes, it’s literally squeezed into everything! But at the end of the day spinach isn’t all that different. The nutritional properties of kale and spinach are very similar. There are only very slight variations but both are very nutrient rich vegetables. I wouldn’t be going out of my way to eat kale thinking it was a nutritional powerhouse over spinach. Acai berries, bowls and smoothies are popping up at all the trendy cafes. The berries are rich in antioxidants in particular anthocyanins which can have protective effects against heart dieases, keep the cardiovascular system healthy and may even help to prevent some cancers and chronic diseases. But don’t fall into the trap of believing that only acai berries have these great properties – all berries do! Blueberries, strawberries, raspberries, canberries are all great for health but don’t have the cult following that acai berries do. I grab a bag of mixed frozen berries from the supermarket each week. A lot cheaper plus I know they will last as long as I need them to (which usually isn’t very long!). Hemp. No no no not the kind you smoke, the hemp I’m talking about is hemp seeds. Hemp seeds have a close relationship with the drug cannabis but without the psychoactive properties. Hemp seeds are getting a lot of attention due to their high protein quantity, omega-3 fatty acids and high fibre content. They are being hailed as a high protein alternative to meat. But if you are after a high protein meat free alternative there are plenty of other options to go for – tofu being a perfect example. Tofu will provide you with a good dose of protein, polyunsaturated fats and a fair whack of calcium and iron too. Tofu also contains phytoestrogens called isoflavones which have health promoting properties. Supergreen powder. You know the ones I’m talking about – 1 scoop will provide you with a billion times more nutrition than eating the vegetables themselves. At the end of the day the benefits you get in eating real food especially real fruits and vegetables will out way the benefits of any processed green powder. All vegetables are great for health and the green and cruciferous vegetables (broccoli, cauliflower, brussels sprouts, cabbage) have well known benefits thanks to their antioxidants, phytochemicals, Indole-3-carbinol and isothiocyanates. Plus if you are actually eating your fruits and veg rather than getting them in a powder it will help to keep you feeling much more full and satisfied. Best blog post to date Alex! Great article! It’s such a shame that the superfood hype adds fuel to the argument that it’s so expensive to eat healthy. Will share this! Thanks Jacqueline! Totally agree, eating healthy doesn’t have to be expensive! Shoes, I like your priorities. 😉 Great post. Super foods give me the super shits. Oh yes I am totally on board with that!! Loved all of this – until I read the part about tofu. Thanks Alicia! Beans and lentils are a good option if you are not a tofu fan?! A good piece, but many of the so called ‘superfoods’ do have additional benefits to those you’ve stated and can be used in addition to a good and healthy diet to boost our systems. Also certain foods like tofu can be wonderful for some people but not, for example, certain cancer sufferers. I have used for years a mix of all of the food you mention, super or not, and find different benefits from different foods; a balance is what is needed both for our bodies and our bank balance. I think those who are new to ‘eating for health’ and want the quick fix, will always turn to the so called miracle foods. Thanks for the comment Jules! I totally agree! The superfoods mentioned do have great benefits and would be a great addition to a healthy diet, however I just wanted people to know that other foods that aren’t as expensive are just as good too. A mix of all different foods is a great approach to take! 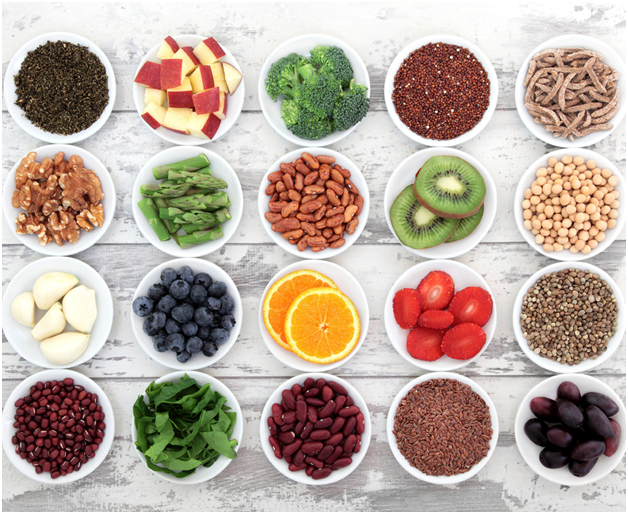 A great post on superfoods and my thoughts exactly! It is possible to eat healthily without having to splurge on superfoods or organic foods. I’m not saying you should shun away from them. By all means, go for it if you prefer these over others but don’t forget to include a wide variety of foods and colours into your diet. You will benefit a whole lot more that way instead of just focusing on ‘superfoods’. Thanks Alex for the great article! Greetings from a Canadian RD. Thanks so much Noura! Great to know my blog is being read over in Canada!! I’m a dietitian and I totally support this article! people are always obsessed with every claim they see on T.Vs Facebook or anywhere else… as if there is a miracle in some food that other foods can never do! I always try to say ” ENJOY HEALTHY LIFESTYLE” where they can eat all the healthy food that they like without any worries. So Thank u for this article!